Bear's Paws: Will You Be my Forever Family? Will You Be my Forever Family? Lost Boy is looking for a family to call his own. 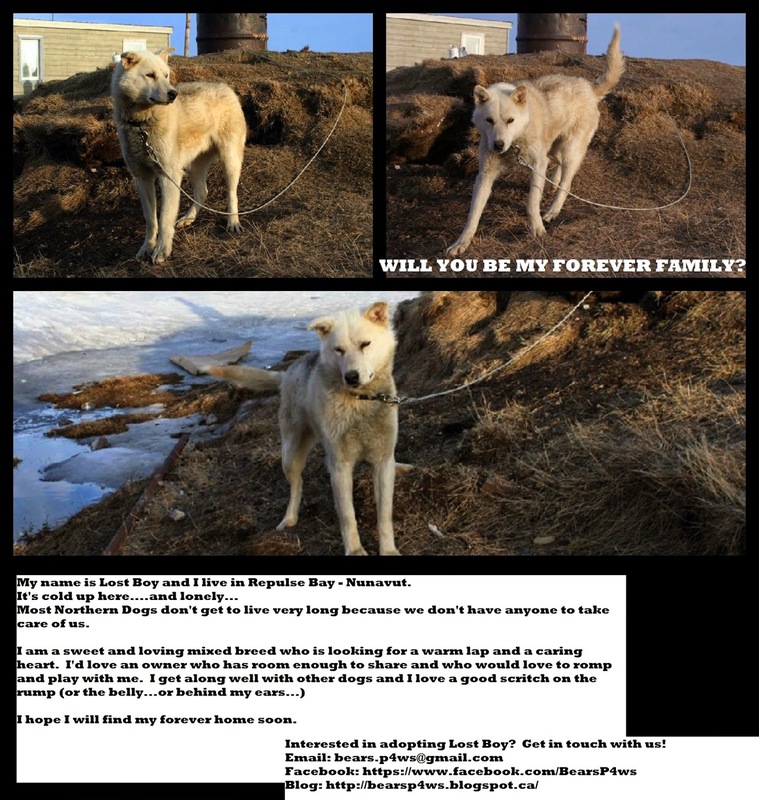 Normally we don't blatantly post adoption requests like this, but this pup strikes close to home because like Bear, he is a Northern Dog is serious need of some tender love and care. If you are interested (or if you know anyone who may be interested) in adopting Lost Dog, get in touch with us via this blog, our Facebook page, or through email at bears.p4ws@gmail.com and we will put you in touch with the wonderful people trying to get him out of Repulse Bay. Hopefully, with a little luck and a lot of hope, we can help this sweet Lost Boy find himself a home.